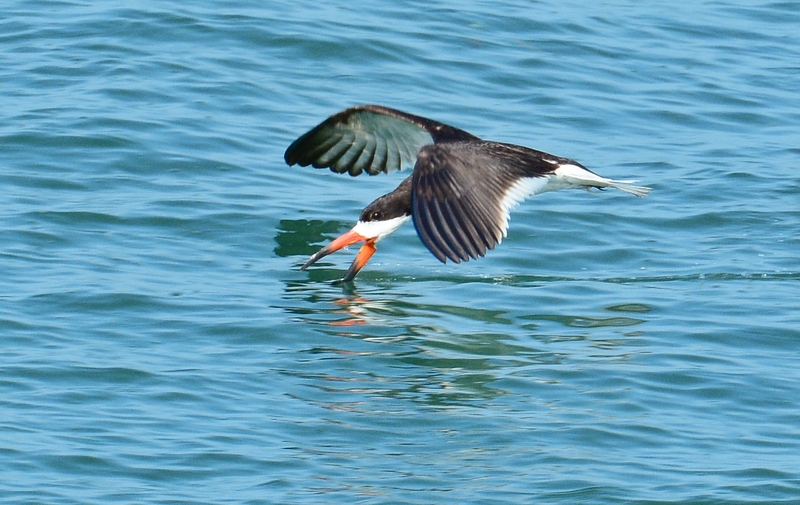 This little skimmer was just figuring out what those wings and beak were for. 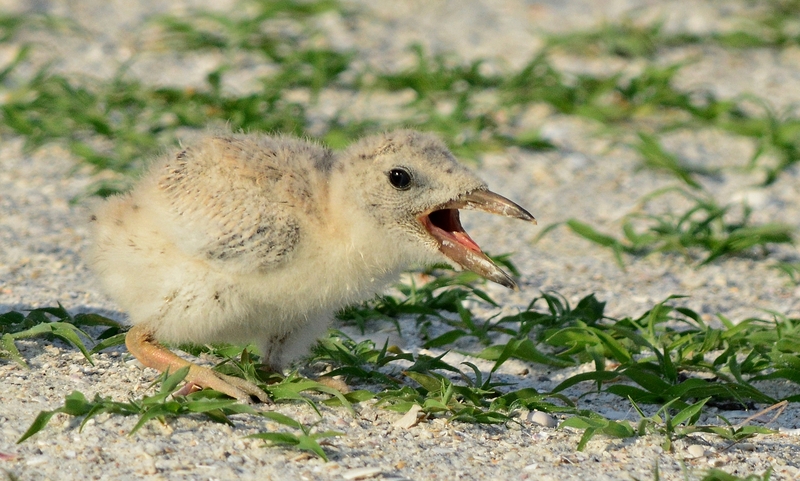 There were still a few babies that hadn’t not made it to the shoreline yet. They were still sticking close to mom. This skimmer was missing a foot. A few adults were taking a bath. This young one was just starting to fly. Right next to the skimmers, this guy caught this fish. 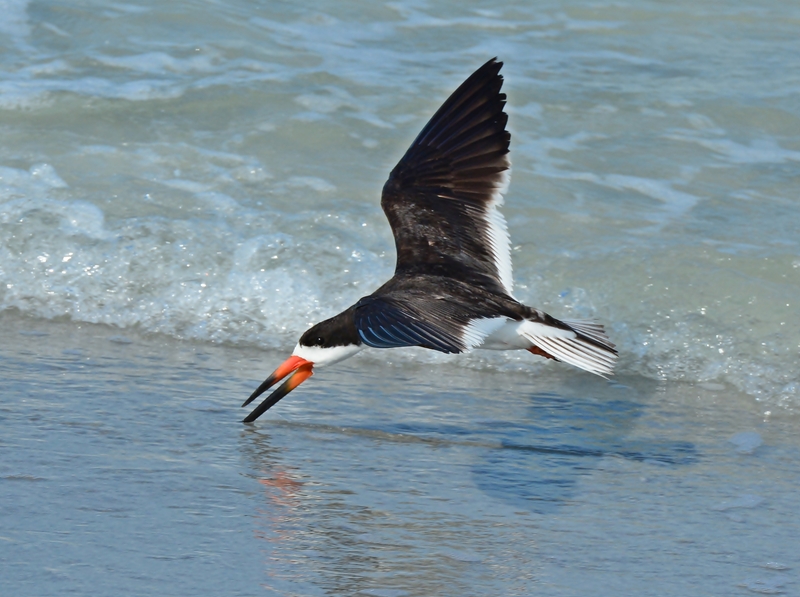 Now all the baby skimmers are grown up and gone. Off to conquer the world! 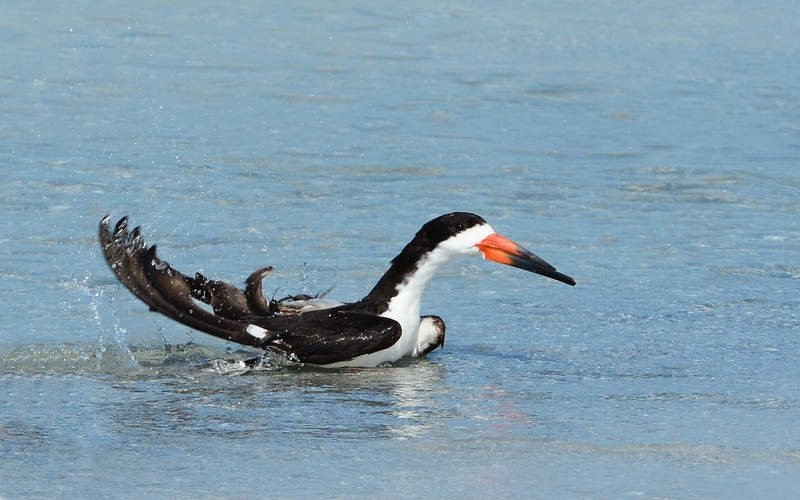 “Don’t come close” says mom skimmer. “Don’t eat me.” says the fish. 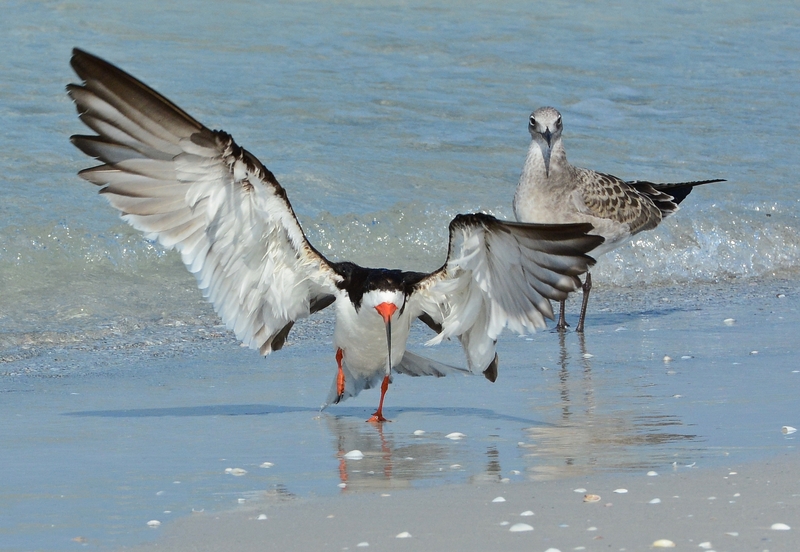 A people eye view of the skimmers nesting on the sand. The birds are surrounded by ropes and there are signs all over the area to keep people from trampling through the nesting area. 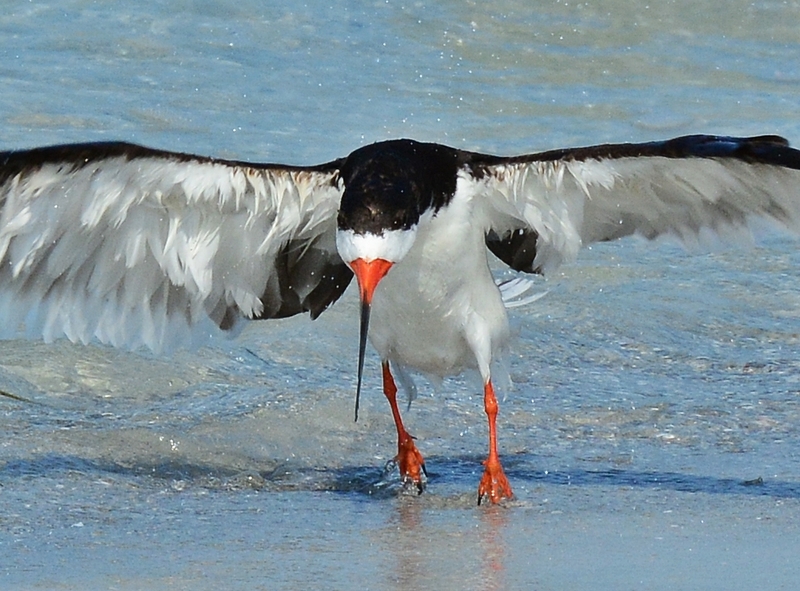 More shots from my visit with the black skimmer colony on the beach back in late June. 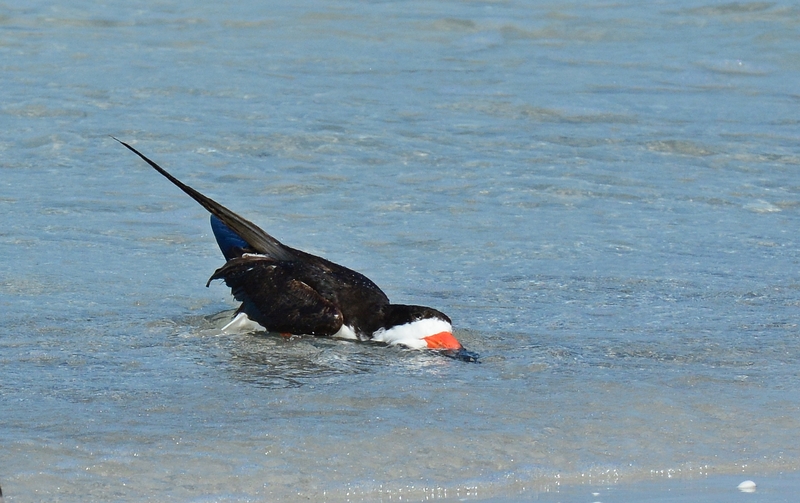 Soon the black skimmers will be hard to find for the winter. These were all taken back in late July at Fort Desoto. They were hanging around the beach near the fishing pier. 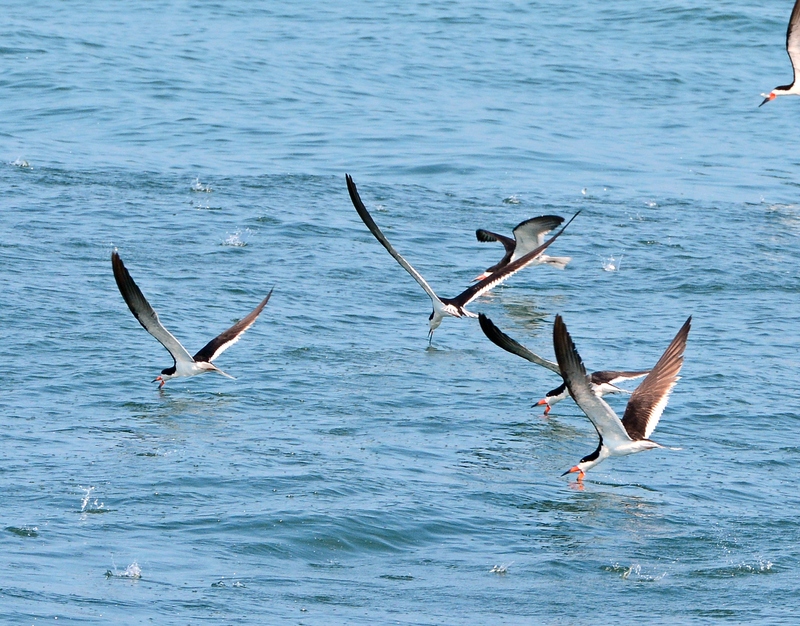 They look so graceful when they are skimming. Out on the water trying to scoop up some bait fish. They were all busy skimming for fish. 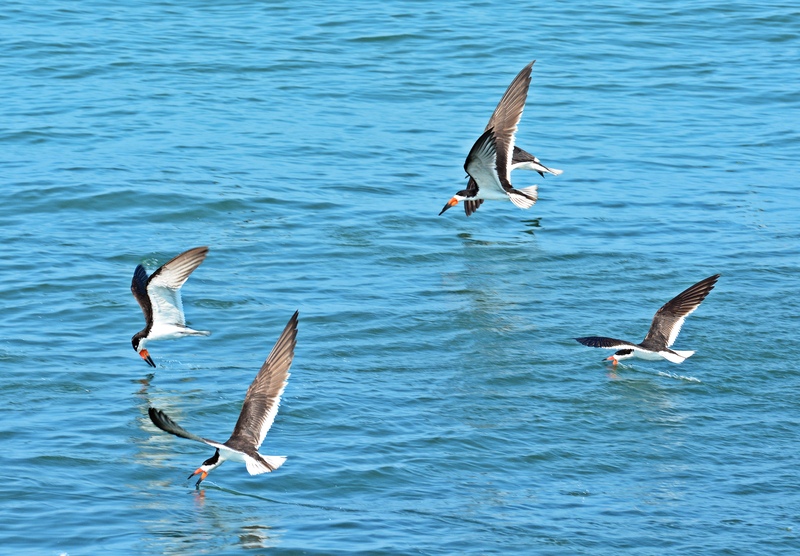 I was standing on the pier taking these pictures and a guy asked me what kind of birds these were. I said “They were skimmers.” He said “Why do they call them skimmers.” I politely explained that they skim the top of the water for fish but really, do they need an explanation if you see them in action? They were both watching that little crab. I guess they only eat fish. Maybe a few more babies to come? 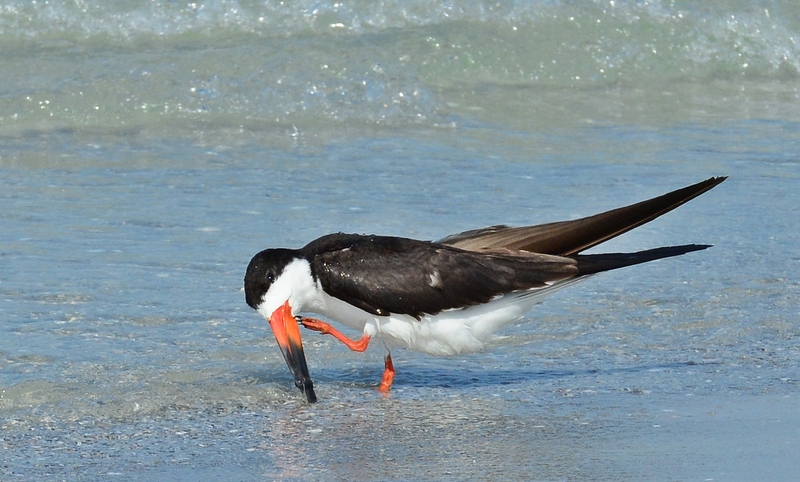 A few more pictures of the baby black skimmers that I took after work in early June. 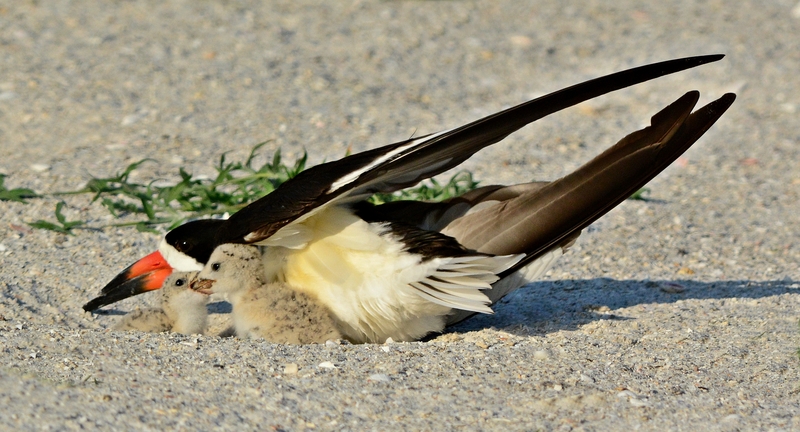 I stopped by the beach after work to see the baby black skimmers that had just been born. These were all just a few days old. It was right before the sun went down and the parents were busy feeding the babies. 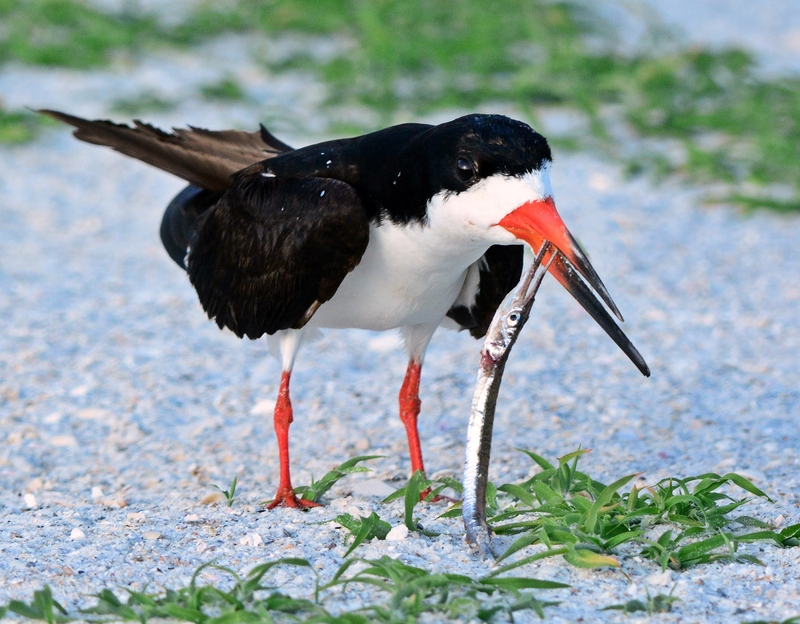 Adult skimmers would fly in and find their baby and hand them a tiny fish. It’s amazing how they know which one belongs to them out of all the babies there that look exactly alike. 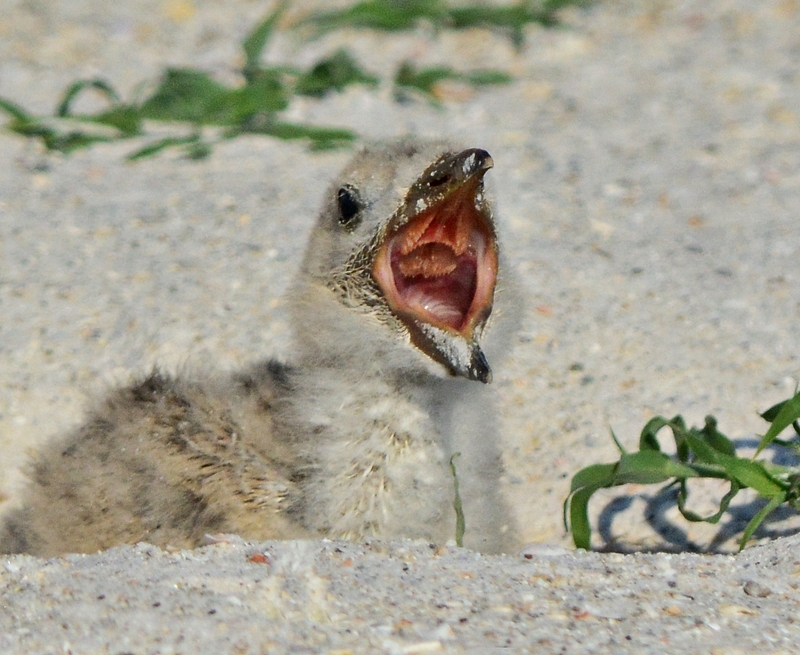 The parents had to fend off other babies and parents trying to steal their fish as well as laughing gulls and crows that kept flying over the nesting grounds. 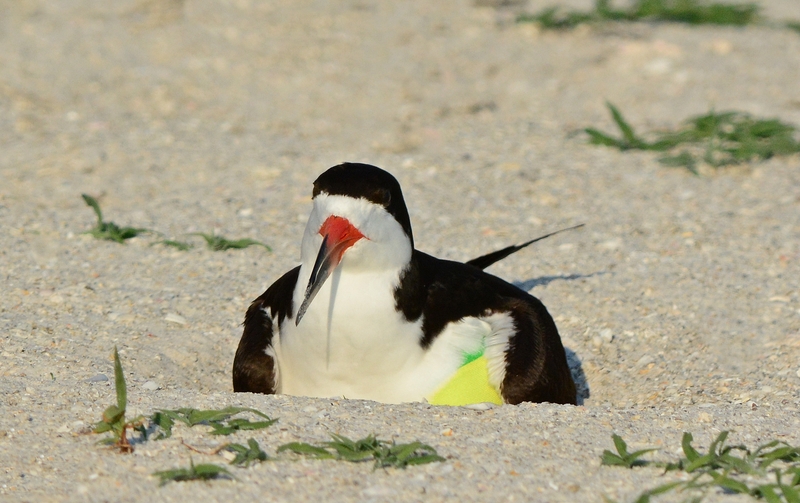 At first count there were over 500 parents nesting. 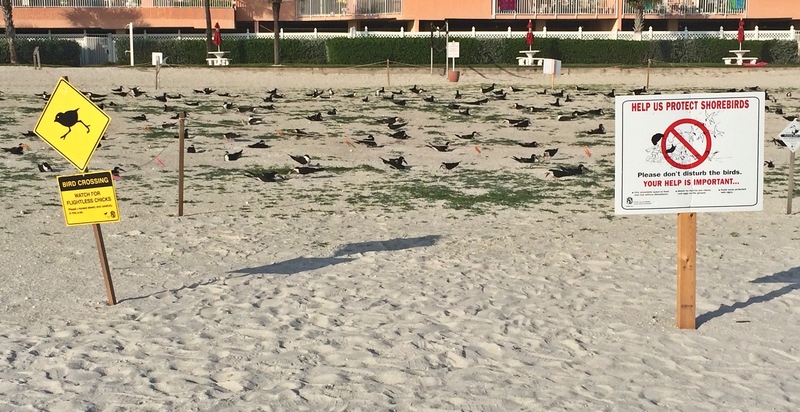 They sit on the dunes right in front of a big condo complex on the beach. The area is kept roped off so people won’t wander into the nesting area. 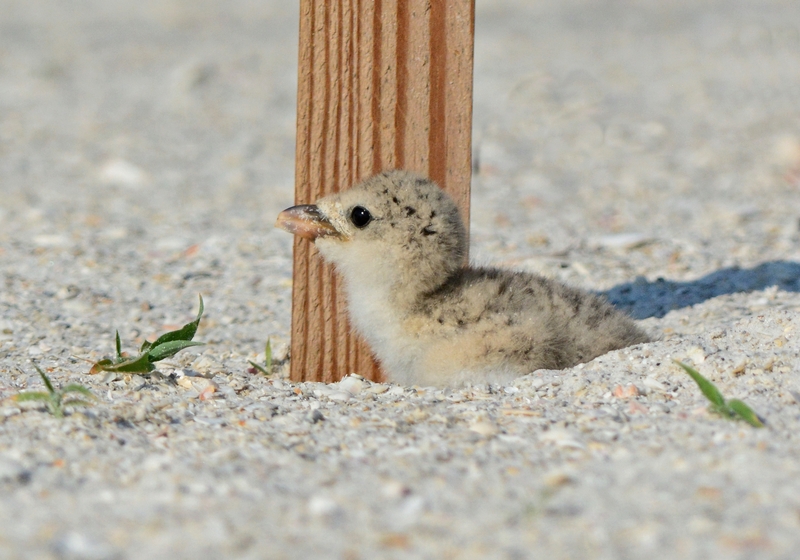 The babies blend into the sand and could be easily stepped on. All of the above were taken with my 400mm lens and highly cropped. 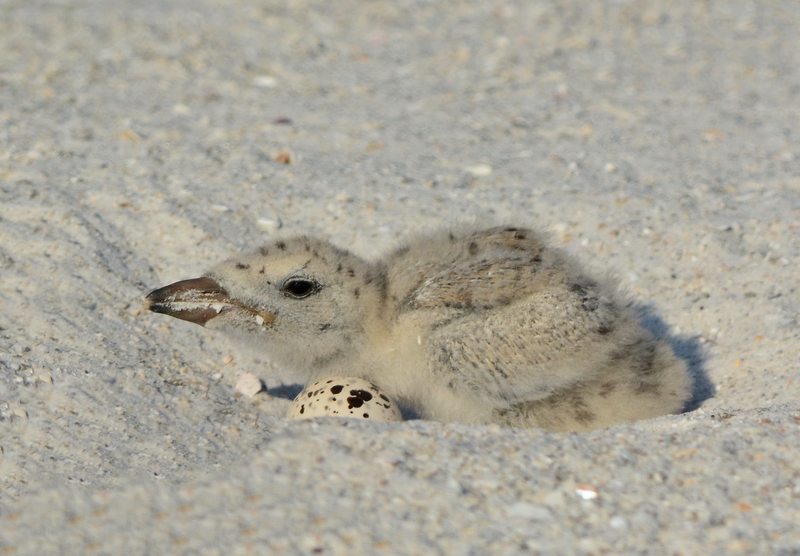 On a sad note, of all the babies born during that week, only a handful remain alive inside the Suncoast Seabird Sanctuary. 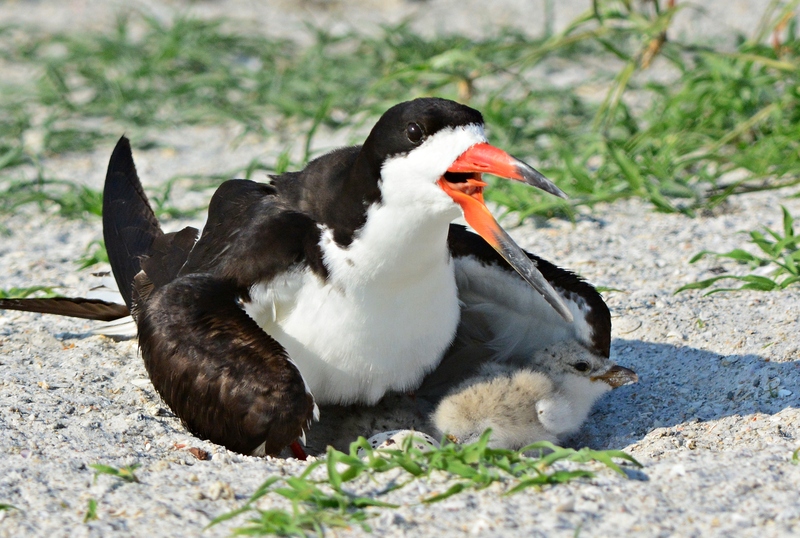 The bird stewards were able to save around 20 babies right before thunderstorm Debby camped out in the Tampa bay area and flooded the beaches. 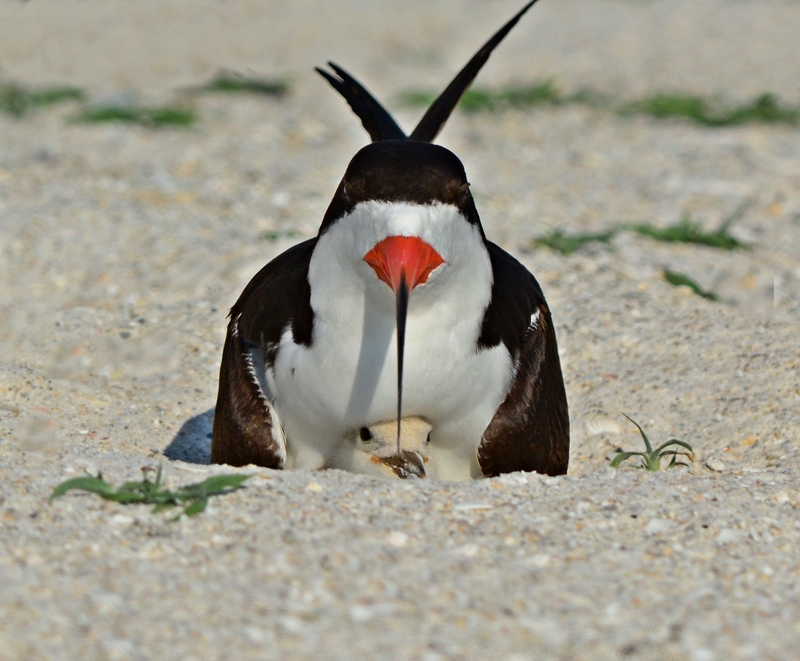 We’re hoping the skimmers will nest again but it’s pretty late in the season and they are tired birds. So is the volunteer team at the sanctuary. They’ve been overwhelmed with birds including babies that were rescued during the storm. 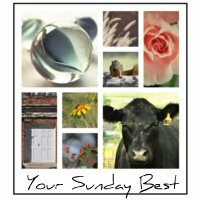 They are a non-profit organization that needs all the help they can get.